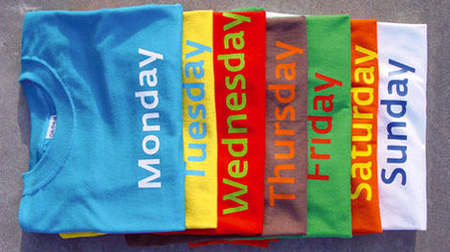 “Does each day of the week have its own colour? This question has long intrigued the designer Johanna BaluÅ¡Ã­kovÃ¡, culminating in the Colour Of The Day project: an investigation into colour associations and their relationships to specific days of the week. A survey was conducted where the following question was posed to 75 creative field workers from 20 different countries: what colour do you associate with each day of the week? The result is a series of t-shirts, one for each day of the week, the colour of each having been selected by majority vote. The shirts could either be worn according to the calendar days, or more intuitively, according to the actual mood of the wearer. Reminds me of Barry Scwartz book “The Paradox of Choice”. I use to own a few pairs of shoes and wore the same one all the time, but after getting a bunch from my shoe design friends, I actually have to think about which shoe to wear now, which is both great and a pain. I love it when people come up with ideas that sometimes seem dumb but seriously inspire me. In this DIY example via Evilmadscientist, a mops added to a remote control car, and bahm, ya have cleaning with a zest of fun. I’m not saying this works great, but sometimes when you think like a kid again or act goofy, you get results that raise great questions and often great ideas. I almost want to clean more now with this remote mop! Why cant cleaning be fun?! Anyhow, this is an example of one of those goofy ideas that I love much like the babysuit mop found in the great Chindogu Society Books. Otherwise, for the more grown up types that hate mops, try the MopShoe. ValleyWag just posted me a reminder about how GREAT Tony Robbins was during TED and they even posted 6 reasons why. Mark Pincus mentions, “Tony Robbins is an impressive man and a real leader and I’m someone who previously thought he was a cheesy infomercial peddling guy in hawaiin shirts.” Well, guess what, I totally agree. I’ve seen him in infomercials, movies, and other cheesy media gigs, but after meeting this dude, I’m like no wonder he’s known…he’s awesome! So I decided to post his lecture he gave at TED. I met him backstage right before he went up, watching him memorize his long presentation word for word to each slide (impressive) and met him as I walked by his table. He saw me walk by, stood up, introduced himself to me, stuck his hand out and said, “Hi, I’m Tony” in which my response was “Hi, I’m small” (dudes like 7 feet or something) Anyhow, this guy rocks! Watch Tony’s video here(includes the awesome Al Gore moment), or the rest of the mind-boggling and inspiring TEDtalks here. The wonderous TED Conference ,which I have mentioned several times, just announced their line up of speakers for TEDGlobal2007 packed with the usual list of known and unknowns that are all shakers and movers in global initiatives, though with a focus on Africa this year. The conference will take place in Arusha, Tanzania next summer and I’m drooling to go, but who knows. Check out the exciting list of speakers and more about the conference on their blog or on their site. Does your environment persuade the way that you think, act, and create? Absolutely yes! Watch this video of mind control magician Derren Brown manipulate some advertising creatives in a little test. Believe the video or not, I’m a huge believer that everything affects who you are; what you eat, read, watch, listen to, and especially the people and environments that surround you. After watching the video, watch the other great videos, books, and observations then question how everything around you influences and creates who you are. I’m constantly coming up with definitions for a designer, but I never thought I’d say a magician, but I’m adding this to the list since magicians are masters of human observations and directions. As a designer, we have to understand how people perceive products, graphics, materials, instructions, sounds, time, spaces, etc. We create stories to consumers, viewers, and observers. As designers we are psychologists of human behaviors, marketers, advertisers, creators of direction and communications, and a bit of everything else. Dig deep into Derrens websites here and here and get inspired, educated, and entertained about the human mind and more about ourselves. This is kind of nifty… Are you shopping for a present but can’t quite come up with the words to search with? Well, Imagini.net allows you to search for items by creating a DNA of keywords based on a selection of images! Basically, it creates a DNA of a persons lifestyle based on simple questions with visuals answers. Once you go through the questions, it creates a grid of items that match your DNA. I like the idea of shopping through images, or creating a palette of lifestyle images based on a person to buy stuff, but then again I’m an advocate for images over text whenever possible. This is kind of like what Amazon does for their suggestion robot since they know what your browse, what you buy, your age, location, etc.. Man, the world of data mining boggle me! I’ve mentioned previously (nostalgic technology) how tech products are not lasting, and currently only look their best until you open the package, hence millions end up in landfills yearly. 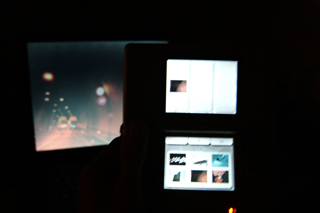 I questioned how electronics can become more nostalgic or wear in to become better, much like leather jackets, teddy bears, old jeans, baseball gloves, leather wallets, handmade furniture, etc. I personally want to see soft materials injected into electronics, much like the recent Asus leather notebooks, or expensive Vertu Cell phones! This is a first step at a handheld electronic device that will hopefully break in like Birkenstock cork sandals. 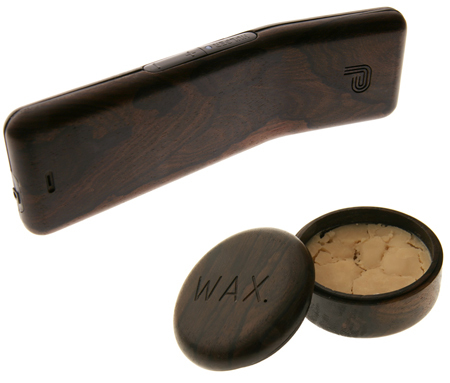 I love wood, and have a weak side for beautiful items such as this. I understand the need in electronics to be thin and light weight, but if there was a way to make them age better, then there would be no need to have 1000 new phones designs each year that overfill our landfills. I’ve had this incredible CD for about 3 months and I’m still lovin it! 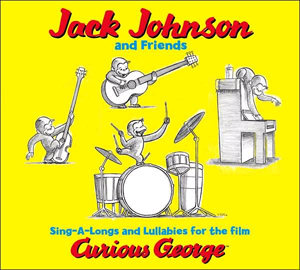 Jack Johnson just plain rocks in this soundtrack CD for the movie Curious George, which I actually watched on an airplane and really enjoyed…made ya smile!!! If your into some sweet acoustic tunes, great lyrics, drummin, poppin, happy times, go get this CD and rock it out in your car. Also great for sketching to with a twist of happy! A few cool vectored shirts by illustrator Robert Dobi. More shirts available for purchase at his store! Sitters with a creative touch!!! What an awesome idea and service, and at $15/hour, it’s a steal! Adding such incentives to services really make them stick out from the rest of the competition. Think about the services you use daily and how they can be enhanced with such simple changes. This project reminds me how technology has unleashed jobs from confined spaces and allowed anyone to work from almost anywhere, be it underground, out in the park, on a subway, on an airplane, at a cafe, or sitting right next to YOU. I’ve been in so many situations where the person sitting next to me turned out to be someone I read about but I never knew what they looked like…so, just as a reminder, don’t be shy in public spaces, stay curious, be nice, and next time that stranger next to you just might be someone that amazes you. You are currently browsing the weblog archives for November, 2006.